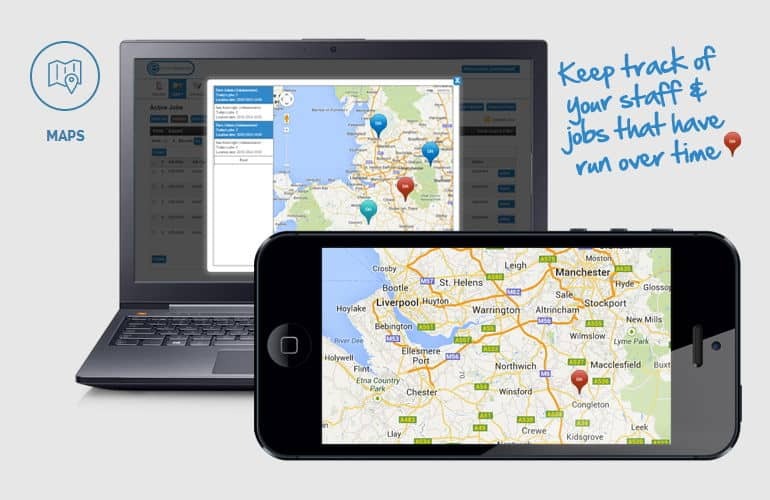 With maps built into most smart devices now, when you receive a job we let you know where to go. Our Employee Monitoring Software will take your current location and then give you directions to your next job. In the admin system, you can also see where all your users are at all stages of the job. Using maps can help you plan your jobs as well, making sure you're not having operatives travel in a zig-zag fashion, thus wasting time in the van. Use maps to help you plan, execute and track giving you peace of mind knowing the location of your workforce. If you have purchased our vehicle tracking system you will also be able to track your cars and vans on a live map and assign them jobs to do from your job management system. Having all your operatives and jobs in one system helps you keep control of all your business.